Fibromyalgia can be a difficult one to explain. When there's an estimated 200-300 different symptoms that any one person can have, there's no way you're going to be able to convey all of those in one conversation. Here I thought I would make a list of just a few symptoms that seem unbelievable to other people. 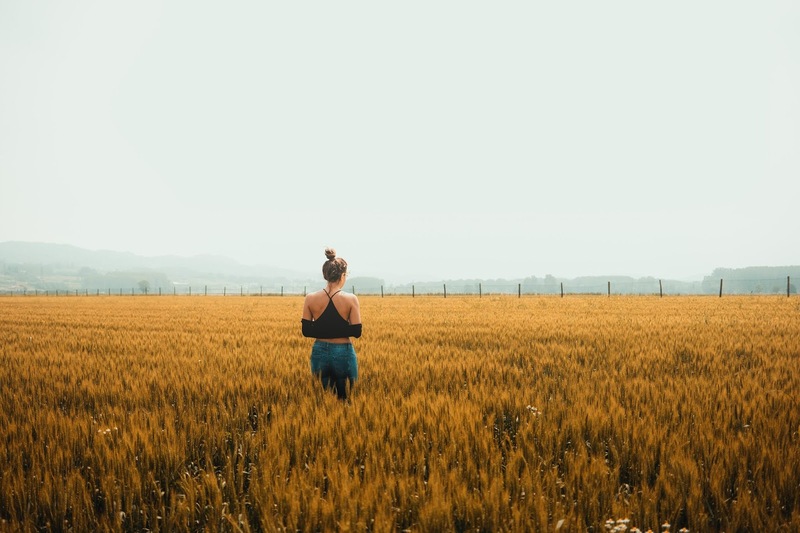 Allodynia is something that many people struggle to understand; how can your own clothes bother you that much?! It seems very unusual for something so small, mundane and everyday to affect someone so much, even to cause pain, but with the hypersensitivity that comes with this disorder, nothing like this, is out of bounds. This means that with just a light touch, you can easily cause pain anywhere on the body. Which means we like our personal space, and don't appreciate a pat on the back or 'birthday bumps'. *Based on research taken by The Arthritis Foundation in the US. 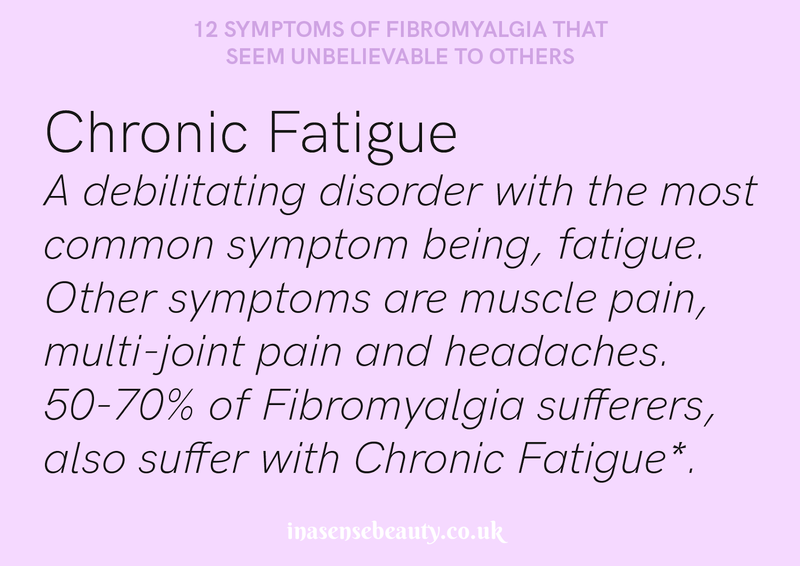 Chronic Fatigue Syndrome doesn't always appear with people suffering with Fibromyalgia, and since Fibromyalgia has its own variation of fatigue, it can easily be missed, and/or left unmedicated. Fatigue itself is an extreme level of tiredness that can be difficult to relieve with sleep or rest, and can often be overwhelming. 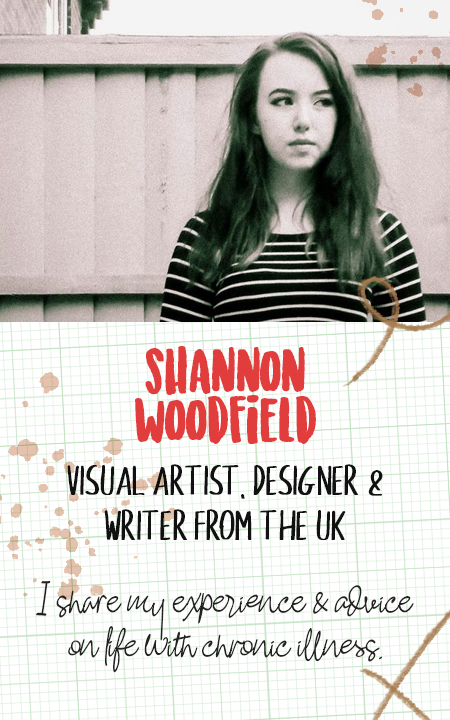 Chronic fatigue is a long-term variation of this, which can be a constant in a person's life. What makes this difficult for others to understand is that sometimes, a person with Fibromyalgia can be going to work or doing jobs around the house, but the next day they say they are too tired. Both fatigue and other symptoms of Fibromyalgia can be relieved or worsened day by day. This is often frustrating for the sufferer too, since they can't predict how their body is going to react tomorrow, either. Of course, there's a usual amount tiredness, forgetfulness and confusion that every person will endure at some point in their life, often when work or home life is fairly busy. Then there's what many people are calling, 'Fibro Fog'. A form of brain fog isn't limited to people with Fibromyalgia but is also often seen in those that do. 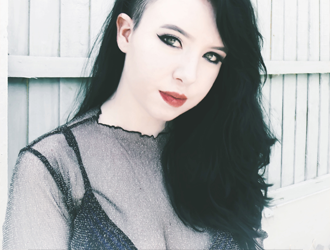 For some people, Fibro Fog is misplacing items or forgetting names and conversations. For some others it can be forgetting important things at work or forgetting how to use an item they've used for years, for example, the washing machine or dryer. 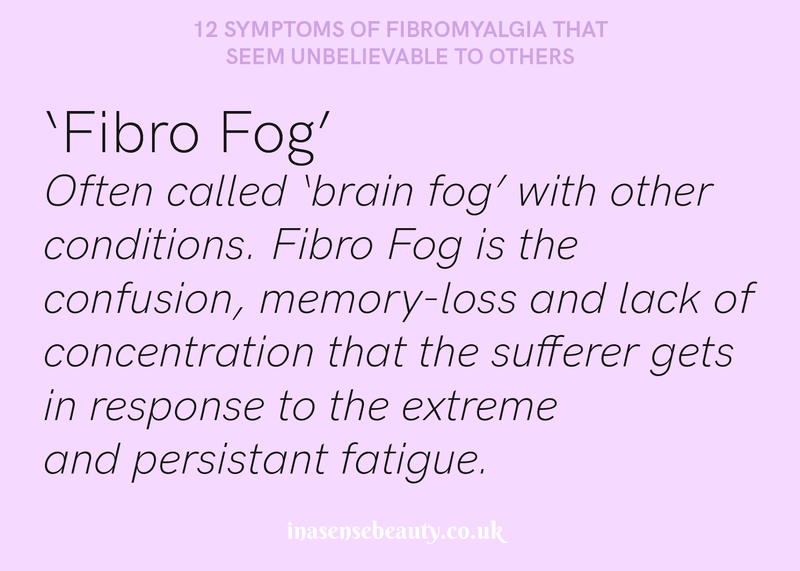 Fibro Fog can be so bad that the person experiencing it can struggle to talk or finish their sentence because their native language can seem foreign to them in that moment. People suffering from this brain fog are often treated as though they're 'stupid' or unintelligent because of the way this fog affects them, and can be highly embarrassing if they're with someone who doesn't or cannot understand why it's happening. A little patience goes a long way, especially if they're used to other people cutting them off or getting frustrated, which can really knock anyone's confidence. Sensory overload is one of those invisible symptoms that are really hard to convey to someone who hasn't experienced it before, but maybe, should be fairly simple to understand. 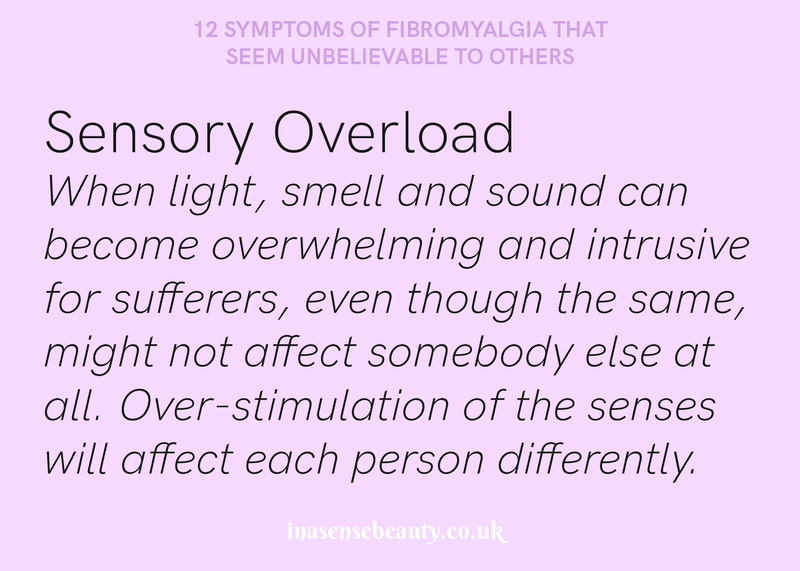 A lot of Fibromyalgia sufferers experience some type of sensory overload, whether they're only affected by one sense like sound, or can feel sensitivity to them all. These can also come and go. This sensitivity can be enough to make a sufferer throw up, after smelling something seemingly strong, or have seizures due to the intensity or flashing motions of light. This can trigger migraines or anxiety-related panic attacks. Periods of sensory overload might be too overwhelming for a person to continue with their day as normal, similar to migraine sufferers. When all the medication you're taking could knock someone else out in minutes, but your stubborn body will still not. let. you. sleep. 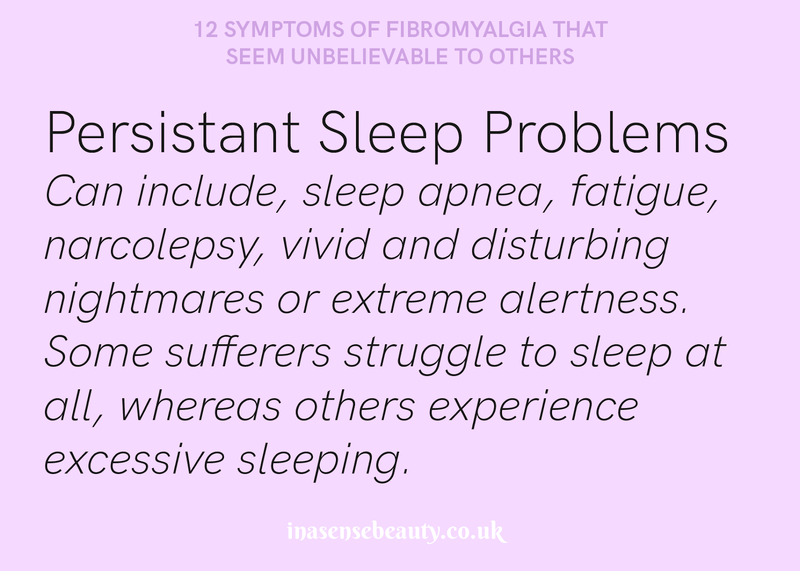 Sleep problems are one of the most reported issues within Fibromyalgia and poor sleep can have a huge impact on how the sufferer will feel the next day. Sleep will affect each person differently and the reported issues can change significantly to one another; even issues affecting one person can change quite dramatically from day to day. Some people with the condition experience trouble with sleeping at all, and can often go days without sleeping, causing their fatigue, pain and other symptoms to worsen over this time. Others can quite naturally sleep for several days at a time. Even if the sufferer can sleep and does sleep, this doesn't mean it's plain sailing from there. They often experience sleep disturbances, muscle spasms, sleep paralysis, awakening frequently, restless leg syndrome, vivid nightmares or non-restorative sleep. 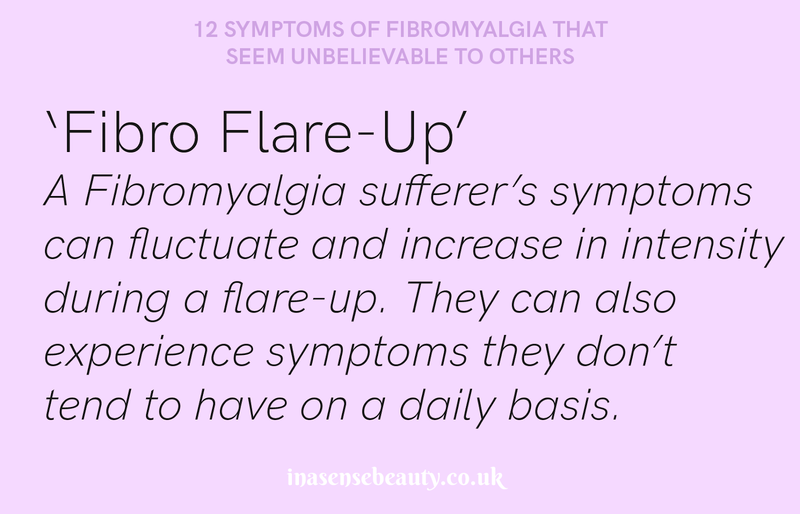 Research has shown that an array of different things can make a sufferers symptoms worse, usually called, a 'flare up', including temperature changes and stress being two common triggers of this. Medications, getting less sleep and air travel are are other known sources known to make the condition worse over a short, or long, period of time. 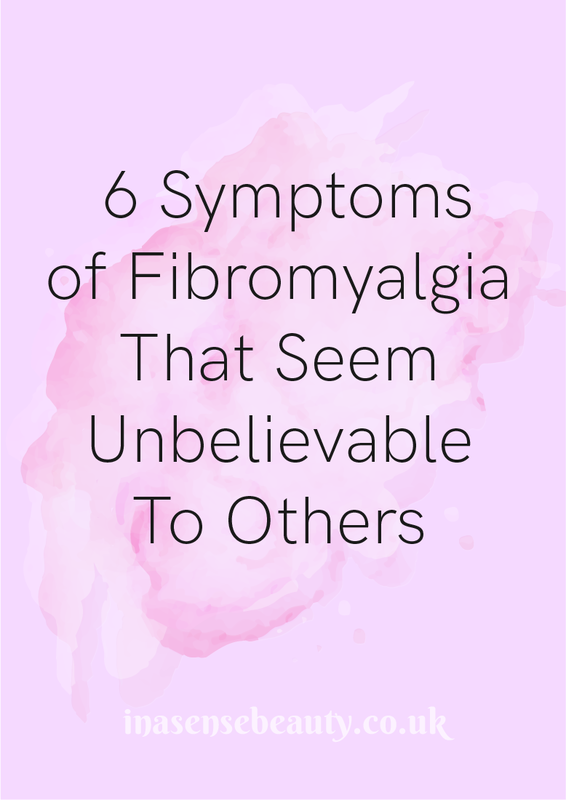 This isn't too surprising if you know what actually triggers the fibromyalgia in the first place. It is usually brought on by either physical or emotional trauma, such as a car accident or losing a loved one. These same types of trauma can therefore make the symptoms worse, sometimes in huge amounts, eg. someone who was coping with life fairly well, could become bed-bound with a single incident even if the physical injuries don't seem too serious. Other causes of flare-up's include diet, hormones, lack of sleep or a change in treatment. Some people will have signs or 'red flags' that signal towards a flare-up coming, others will be hit with it, seemingly, out of nowhere. Also bear in mind, these flare-ups commonly happen with no cause at all. 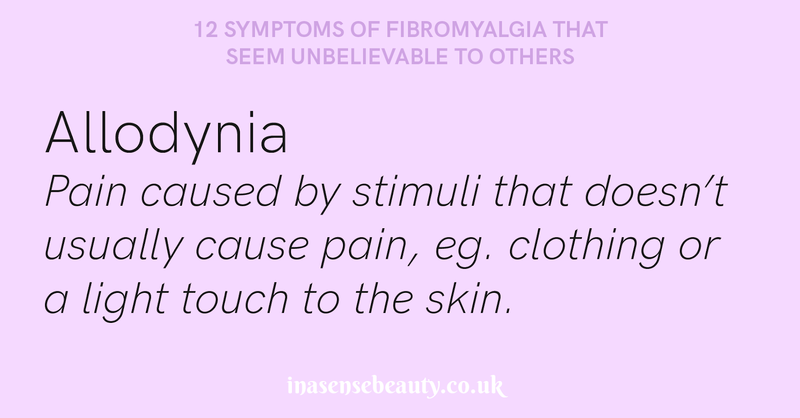 Thank you for reading just a small amount of the symptoms that seem can absolutely bizarre to non-sufferers of Fibromyalgia. If you or someone you know suffers from Fibro, you most likely would have discovered how difficult the chronic disorder can be to talk about or explain. I hope this helps a few of you put into words a few of the symptoms, or you can just send people directly to this article to explain! I'd love to continue this list some time so look out further for that, and suggest a few more symptoms that other people don't seem to believe or understand! Very well written. Unlike most , I'm a 68 year old Vietnam Veteran, with Post Traumatic stress disorder. Many times my symptoms are very similar to Fibromyalgia . Extreme tiredness, high resistance to pain and sleep medication. Flare up , .